Have you found that your child’s behavior chart is no longer as effective as it once was? Or, maybe you’ve been working at it for weeks but have yet to observe your new behavior system actually working. Well, you’ve come to the right place. Today’s blog is all about making adjustments and modifications to your behavior system. At this point, it may be tempting for you to throw away the whole idea of using behavior charts at all. While I’m certainly not claiming that behavior charts are always the answer to managing your child’s behaviors, they can be a very effective parenting tool. So, don’t give up! If your behavior chart has not been working, try considering the following. routines. Be sure the behavior you want your children doing is understandable to them and age-appropriate. Before a child can be expected to demonstrate behaviors independently, he/she can practice engaging in the behaviors with an older sibling or an adult. Consider the motivators/rewards- If you already have a behavior chart set up, then you’ve (hopefully) already identified rewards. The rewards your child earns must be motivating to him/her. A common misconception is that these rewards have to be purchased items or experiences. Sure, most children are motivated by new toys, but there are other privileges and experiences that cost no money at all. So get creative! For example, a few extra minutes of play before bed, special time with a parent, or sitting in “mom’s seat” during dinner are all rewards that have been very motivating for a number of children. Many parents also find it helpful to have a list of rewards and allow their child to choose what he or she earns. Explore alternative strategies- Behavior charts can be an effective parenting tool for a number of reasons. 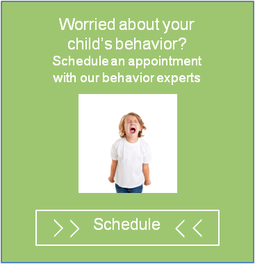 One of the potential advantages to using a behavior chart is that it eliminates the need to make day-to-day (or minute-to-minute) decisions of how to respond to a child’s behaviors. It is possible that if you’ve been consistently responding to your child’s behaviors and they do not seem to be learning from the rewards and consequences provided, a different intervention may be warranted. Don’t hesitate to contact a professional social worker for parenting support. What did you do when your behavior chart stopped working? Do you have other ideas of how parents and caregivers can get the most out of their behavior management system? Your comments are welcome below.